The weather wasn’t as cooperative this week. The baby didn’t feel well for most of it. But it was still a week full of an awful lot of lovely. Oh my God. 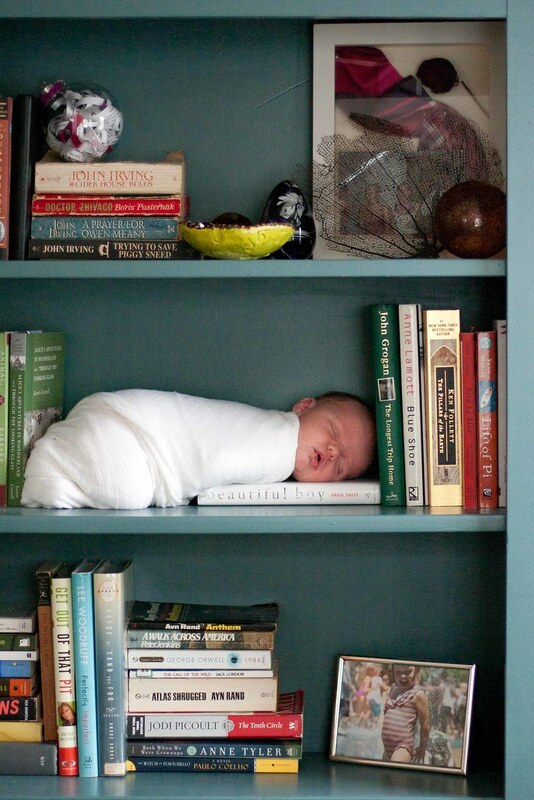 That bookshelf baby photo is one of my favorite newborn photos ever. 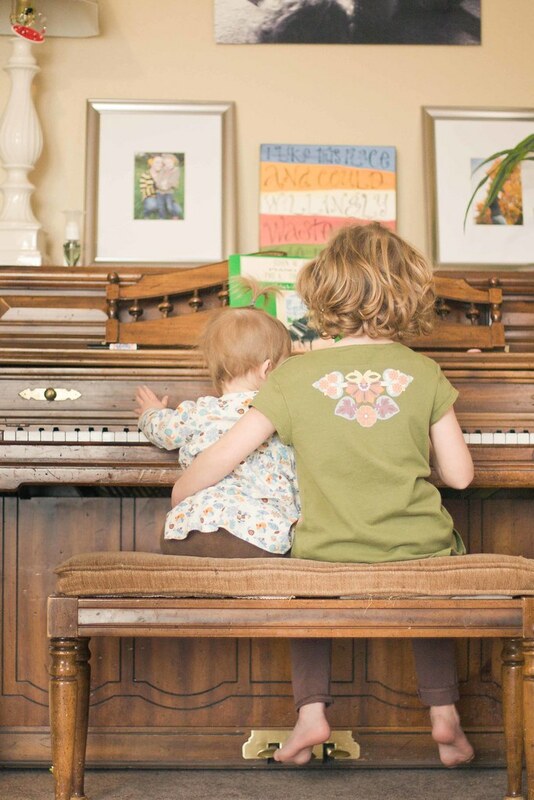 Also love the sibling kiss… so sweet. @Rachael, Oh my, thank you, it was a lucky shot for sure. Your toe-sucking baby, your blue-eyed big babe, and the OH-MY-WORD-SO-CUTE baby on the bookshelf? This post should come with an Adorable Overload Warning. Great photo showcase! @Beth at Five Kids Is A Lot Of Kids, Warning, this post may make your ovaries twitch. Baby on a shelf, chubby bandaged baby thighs, sisters, toe, pretty mama, pretty daughter. @Joules, Heh, I’ll take that as a giant compliment. And you had a really really good hair day today. Bonus!!! @Chrysta, I just had it done today. That picture of you and Vivi, oy vey!! And Addie, oh my word, she’s so beautiful. I won’t even go into the BABY pictures. I can’t handle it. Your hair looks gorgeous! (And Vivi with her foot in her mouth? SO CUTE! 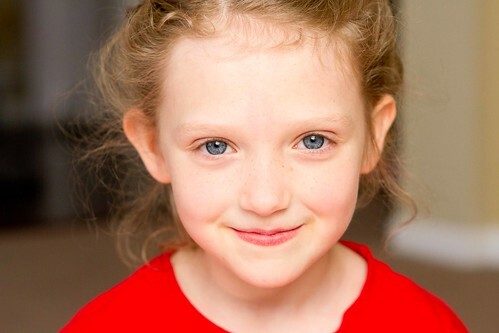 )… And Addie’s eyes. @Sarah, I wish I could have gotten the sound effects of her toe sucking! 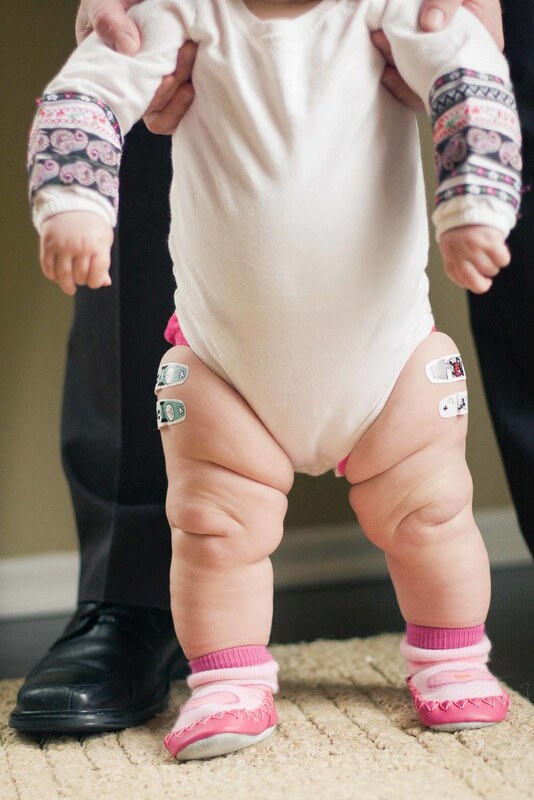 You had me at the chubby baby legs. Did you have the cutest week ever or what? There are some great books on that bookshelf, too. Guh, ovaries are exploding. That is a whole lot of lovely. THIGHS! Love these. All of it. I’m so glad you are in the photos this week! It’s a hard feat to accomplish to photograph the photographer. And I love Vivi sucking on her big toe. That girl is talented. I love these weekly photos. So cute! 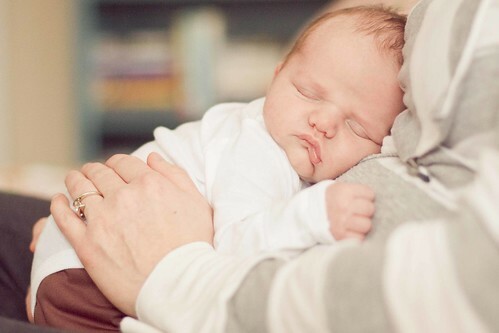 These are seriously adorable pictures of a gorgeous family! Beautiful photos. Love the thighs!! What socks/shoes is she wearing? Oh. Oh my. That picture of you and Vivi is it. The end. So very lovely while being so very real. You tell a story with these pictures and I love them. Oh, my gracious. I think this is one of my favorite picture posts ever in the whole world. That Vivi, she’s got the chubbiest, most bite-able legs I’ve ever seen! Casey, your photos are simply amazing. The baby on a book shelf has made me want another baby so bad I need to sleep on the couch for a while. I absolutely love the bookcase/baby photo. I pinned it! 1 – How did you decide what books would make the shot? That tiny detail would have consumed me. 2 – the piano, I die. 3 – the legs and shots. Sad face for shots. I have to get two sets of legs done at a time. I wish I could get them instead. I almost died from the loveliness of your pictures. Those two girls are just precious, and those thighs with the band aids just break my heart. 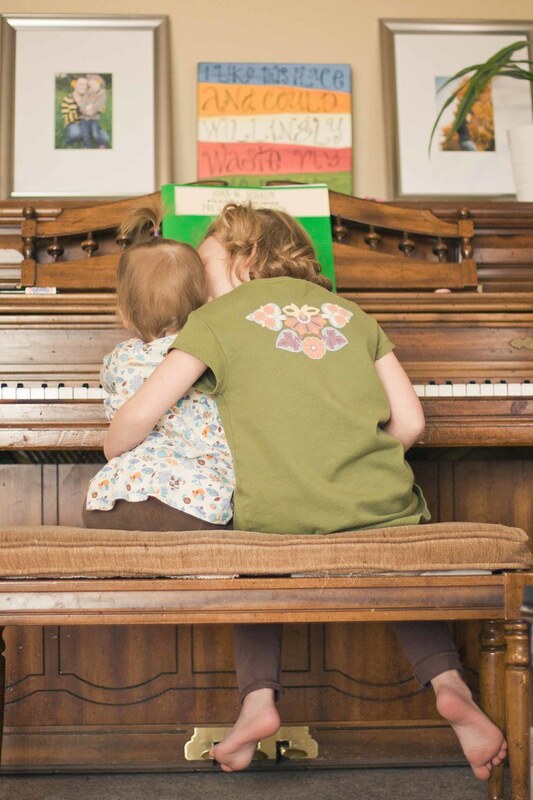 And the pictures of them at the piano….and the toe sucking. Heaven! Thank you for sharing with us. THAT. THAT is what I want if I have a baby2.0: Baby on a bookshelf. I half-thought about it for the first one but it never came about but NOW I WILL DEFINITELY DO IT and I will CALL YOU if, ah, well if there is a 2.0. AWESOMESAUCE. Fantastic photos, Casey. Look at those thighs! So sweet! What a wonderful set of pictures. 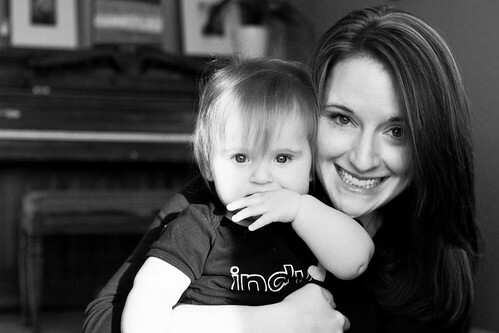 Your girls are amazing, and inspire ovaries everywhere.